March 26th is Purple Day for epilepsy awareness. But it’s our life every day. Our life with epilepsy. It’s probably much like a life without it but then different. Frustrations and celebrations both the same and different. 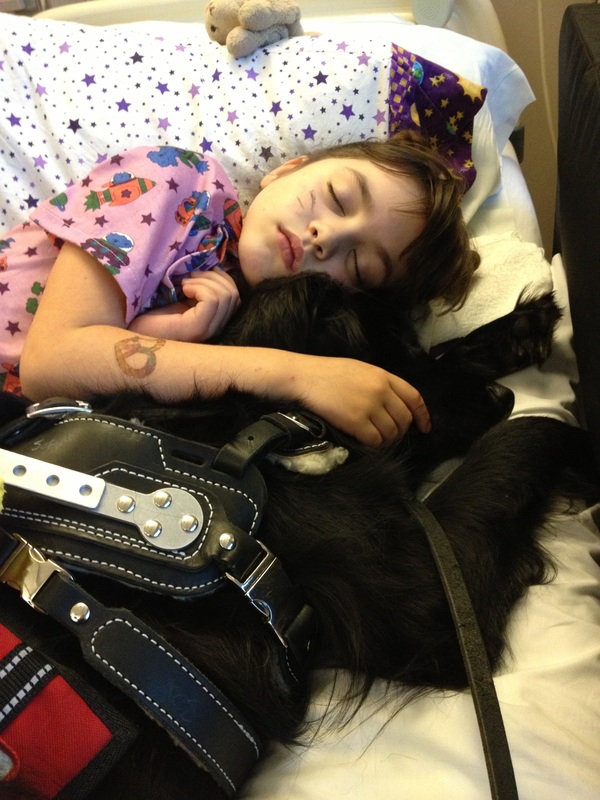 Haley and her service dog napping off a seizure during a hospitalization on Halloween. 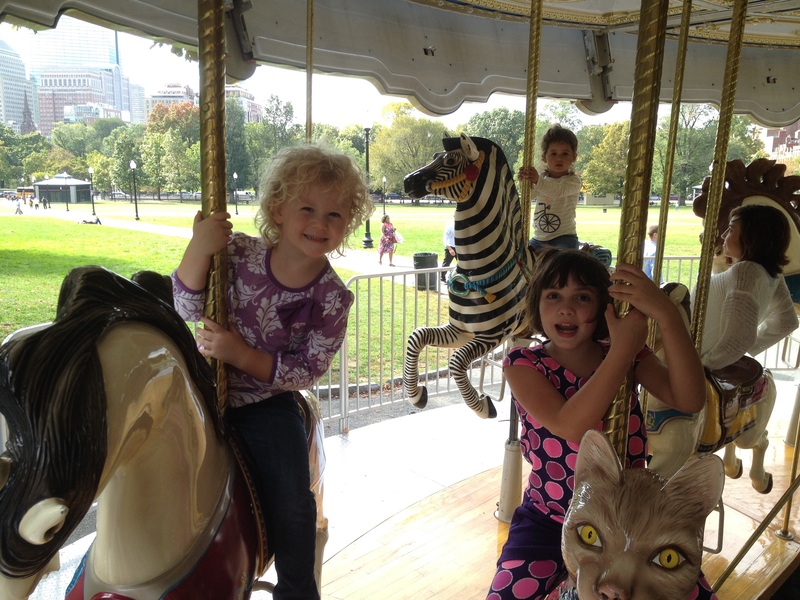 2 epilepsy warriors sharing a carousel ride after participating in a protest for cannabis access. There are times when we could forget, even for a moment, how different life is when epilepsy is an unwelcome guest. But Haley hasn’t had 24 hours seizure free in over 2 years so I don’t really remember. I count our good times in minutes, sometimes hours. But sadly never days. And the idea of weeks or months seizure free? Well. It’s been a long time since I hoped for that. I haven’t given up but the continued waves of disappointment have worn down my expectations. We just never know. Our life with epilepsy is holidays in the hospital. Christmas, Halloween, Easter. We’ve spent them there. And some years it’s holidays at home fearing we’re going to end up in the hospital. And sometimes it’s watching her run around and collect eggs on an egg hunt and opening presents and going trick or treating and not thinking about the hospital at all. We just never know. Sometimes our life with epilepsy is needles, and iv’s and NJ tubes and painful procedures and anesthesia yet again. And sometimes our life with epilepsy is swinging on the swing, sledding in the backyard, making sand castles on the beach. We just never know. Sometimes our life with epilepsy is frustration, behavioral challenges, sensory issues, food aversion, special meals. And sometimes our life with epilepsy is a family dinner, a pretty new dress, snuggle time and homework. We just never know. Sometimes our life with epilepsy is tears of frustration and “No, that’s not safe” and “what if you have a seizure”. And sometimes our life with epilepsy is skiing, and sleepovers and dancing on a stage and a cartwheel. We just never know. Sometimes our life with epilepsy is blue tinted lips, fingers and toes, the dreaded cyanosis. Sometimes it’s dilated pupils and slurred speech. Sometimes it’s convulsions and CPR. Sometimes it’s stiffened limbs and bulging eyes. And sometimes it’s smiles, and giggles and Ever After High dolls and fetch with the dog. We just never know. Sometimes our life with epilepsy is bruises and bloody faces. It’s bitten tongues and cheeks and the unmistakable moan as the air escapes the lungs as the seizure takes over her body. And sometimes it’s playing Minecraft and finding a hidden village, or getting your sister to play Candyland with you. We just never know. Sometimes our life with epilepsy is learning. Learning the merits of a pretty flowering plant called cannabis. It’s educating myself and others on its benefits and fighting the willfully ignorant to bring access to this medicine to all patients in need. It’s empowerment. And sometimes it’s too many deaths and too many families in need and too much weight to carry. We just never know. Sometimes epilepsy is an intruder. Lurking always in my peripheral vision. Every thought, every decision made with the premise of what if it invaded right now. Would she be safe? Are any of us really safe from its intrusion? 1 in 10 people will have a seizure in their lifetime. 1 in 26 will develop epilepsy. Would you know what to do if someone you loved had a seizure in front of you? Do you know to NEVER EVER put something in the mouth of a person having a seizure? That myth, long perpetuated, is one of the things I fear the most as my daughter gets older and more independent. I fear that some well meaning but uninformed person will hurt her by doing what they think is right but is really dangerous. Do you know if I’m with my child at Target and she seizes please do not call 911 without asking me. I deal with this every single day by myself. Please don’t complicate it with an unnecessary trip to the ER. Please do ask if I need help. Sometimes I may need you to help me grab a coat for under her head or just to know someone is there. But most often I’ll just give you a sad half smile and say no thanks. I got this. Because I do. We all do. Every day even if we don’t know what the day holds because that unpredictability is by far one of the hardest parts of living with epilepsy. We just never know what kind of day it will be. Epilepsy is: 1 in 26. It is 33% of people with this condition unable to control their seizures with current treatment options. It is responsible for 50,000 deaths in the US every year. It is severely underfunded, understudied and misunderstood. It is our life. Our purple life. I’m an adult with epilepsy, and I have very similar feelings. Awareness and celebration seem like something people outside of epilepsy do- folks who might actually forget that it’s serious, or who think that it couldn’t happen to them. When it happens to you or someone you love, then you really don’t need or want these days at all.